Nintendo's virtual store is almost here. Super Mario Land, here we come. Nintendo launched its 3DS with a variety of games. 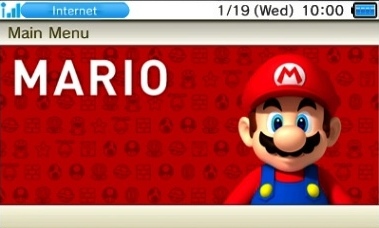 Conspicuous by its absence, though, was the eShop, the promised virtual store that allows players to download new and classic titles from a variety of systems. So here's the good news. The eShop is on the way, rumored to launch in late May. We don't know the official launch lineup, or how much these games will cost, but over the last few weeks, new bits of info have appeared, giving shape to what should be one of the 3DS' best features. That said, we compiled a list of facts to get you caught up to speed on what the eShop will offer. On that note, let's begin! Now you can rate games using a five star scale. 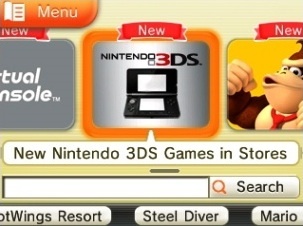 -Players will add the eShop to their 3DS systems through a software update that'll also include the web browser. -Games will be split into various categories. These include DSiWare, 3DS Virtual Console and 3D Classics. -Nintendo will have Mario and Donkey Kong categories that include games featuring those respective characters. You can also watch videos of 3DS retail games. -The 3DS eShop will feature classic games from the original Game Boy, Game Boy Color and Sega Game Gear. -Nintendo and various publishers will re-master some of these games in 3D. -Confirmed for launch: Capcom's Mega Man Legends 3: Prototype Version. The eShop will even let you create a Favorites list of games. -Confirmed games: Super Mario Land, Donkey Kong, a Legend of Zelda adventure. 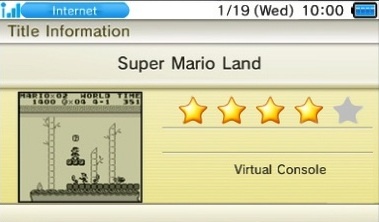 -The eShop will let players rate games using a five star scale. -Users will be able to access videos and screens of 3DS retail games and rate these titles using the same five star system. All of Mario's games in one easy to find location. -Players can view the eShop's best selling games. -They can also create their own Favorites list. -There will be game demos. 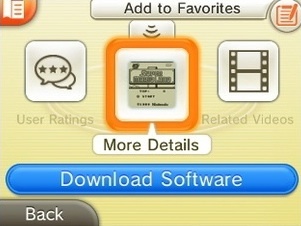 -There will be an option to transfer DSiWare purchases to a 3DS. Nintendo will limit the number of times a person can transfer these games, but not the number of games transferred.